Employee benefits schemes help attract and retain top talent. Recent industry research found that 82 per cent of employers offer benefits to retain employees, while 81 per cent do it to recruit employees, and 80 per cent do it to support overall employee health and well-being. Research from Glassdoor even found that a staggering 79 per cent of employees would prefer new or additional benefits to a salary increase. 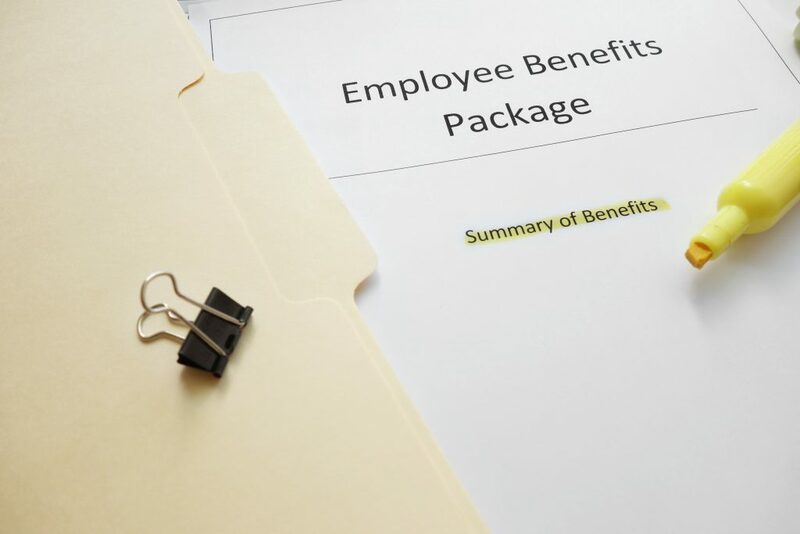 A significant number of organisations have already discovered that by offering a reasonable and accommodating employee benefits package, they can successfully attract new talent and retain employees. In fact, according to a 2017 study, 38 per cent of organisations plan to expand the number of benefits options that they offer their employees in order to remain more competitive. Depending on your size and industry, not all benefits will be useful to you or your employees. As part of your review, consider the size of your organisation, your employees’ age range, how many different benefits you would be able to reasonably offer and what your employees’ expectations are. Look at who your current employees are and what type of talent you would like to attract. For example, if you are hiring primarily younger employees, you most likely do not need to offer them childcare vouchers. Instead, you may want to consider offering them gym memberships. Ask your employees what types of benefits would be the most valuable. Even though you most likely will not be able to implement all of their suggestions, you should be able to find a compromise between your budget and their expectations. It is important that you keep an open dialogue with your employees to ensure that they are satisfied and that your scheme continues to be relevant. For more info on how A-Plan can offer insurance deals as part of an employee benefit scheme, get in touch with your local branch. ← Tips to Prevent Burglary This Christmas.